Anyone who knows me knows Halloween is my favorite holiday. I love everything about it…the ghouls, the goblins, the candy….but mostly the dressing up. It is so much fun to be someone else for a few hours. Halloween is like getting a break from your real life and all the stresses that go along with it. Every year I have grand plans to construct some elaborate costume. Do I do it? No. My vision has an unlimited budget and mad construction skills. In reality, I have $5 and a glue gun. That’s not cutting it! Not to say I haven’t made or put together costumes, because I have. I have also purchased costumes. The purchased costumes usually involved some form of alterations. When you are a chubbster, it is hard to find anything off the rack that fits well. Most “plus size” costumes are still too minus for me. Here are a few of my costumes from the past. For reference, the purchased costumes are most likely the largest size available, probably a 3/4. I purchased this costume from OneStopPlus. It was too small in the waist/hip area. I opened up the sides and put in button holes. I was able to weave ribbon through the button holes to give myself some coverage and breathing room. The beer girl costume was also purchased from OneStopPlus. It was too tight. I was able to take the seams apart and loosen it up some. The beer purse is the best part of this costume! My spider costume was mostly things I already owned. I made the jacket from a pattern, Halloween material, and feather boas purchased from Jo-ann Fabric and Craft. 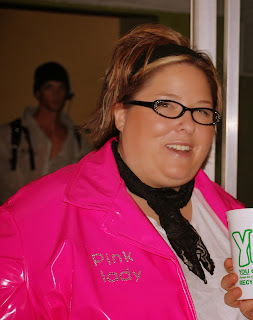 My Pink Lady costume also involved things from my regular wardrobe. I made the pink jacket from vinyl and a pattern. Last year I was a leopard. 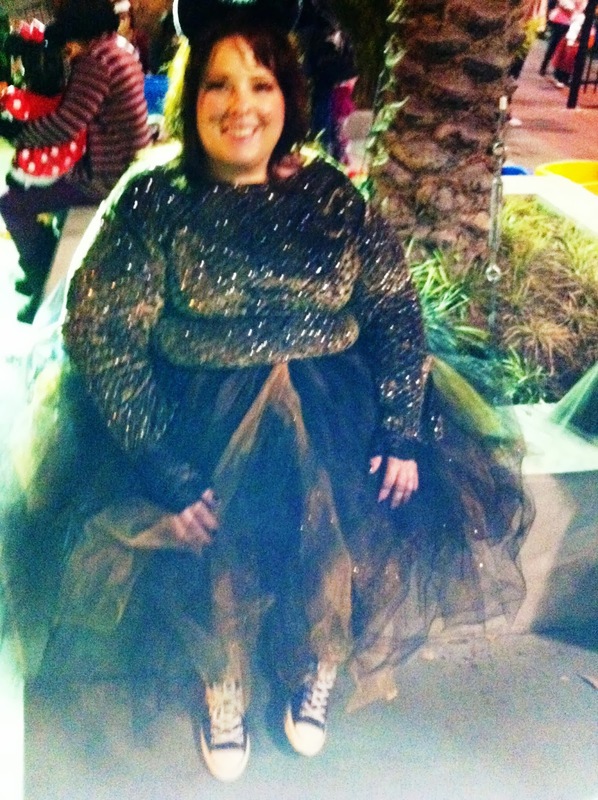 Purchased the main part of my costume and then made a tutu to go with it. 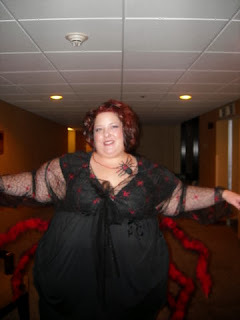 For 2013, I purchased the Leg Avenue Monster costume from Torrid. I also purchased some white fur to make some long gloves and leg warmer type things. I have yet to make this actual part of my costume, that’s why there isn’t a pic of me modeling it yet. When I do, I will be sure to blog about it! We are a collective of plus size bloggers coming together to post on the same subject. This month we each have a post on “Halloween” so check them out by clicking on each link. I'm a Ballerina! Plus Size Halloween Costume for the Girly Girl! We kind of had the same ideas.. i wish i was as crafty as you to make things fit me but i love the beer maid costume!!! I need to see that monster costume!! Please do post about it. I totally love the Beer Maid and Pink Lady. Adorable! I love you and all of your sassy self! Love the variety of your costumes! Out loud and outside the lines...with a little bit of glitter thrown in to make it all pretty.